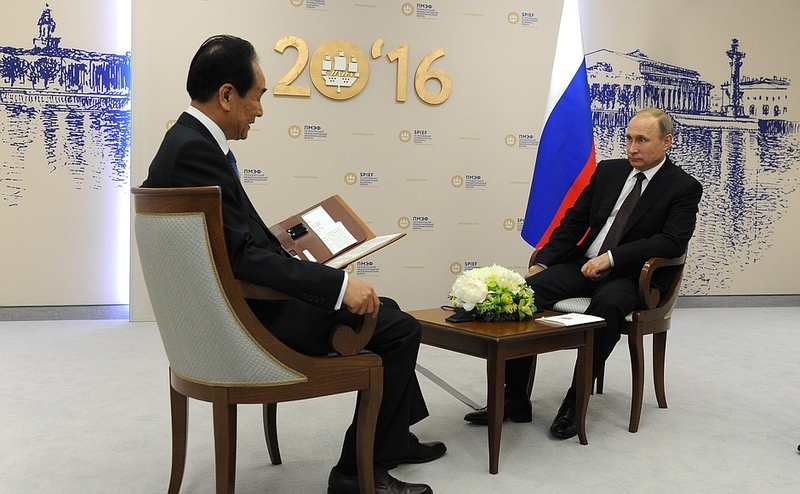 Vladimir Putin gave an interview to General Director of China's Xinhua news agency, Cai Mingzhao. Articles and features about Russian anthropologist Nicholas Miklouho-Maclay, Indo-Russian missiles in Vietnam, and a Moscow-based artist's classical Chinese art exhibition were among the Asia-Pacific highlights on rbth.com. SCO summit to kick off in Tashkent. Russian president Vladimit Putin told the Chinese news agency Xinhua, that a certain drop in the total trade turnover is temporary and that he welcomes increasing Chinese presence in Russia’s energy market. Known as the fastest and deadliest cruise missile ever, the Brahmos will give the Vietnamese armed forces a huge asymmetric advantage over China. ‘YINtuition,’ an exhibition by Moscow-based artist Alena Savyuk , features rice paper paintings. It is being staged at the Moscow's Agency Art.ru. The memorandum to be signed on June 25 as part of President Vladimir Putin's visit.